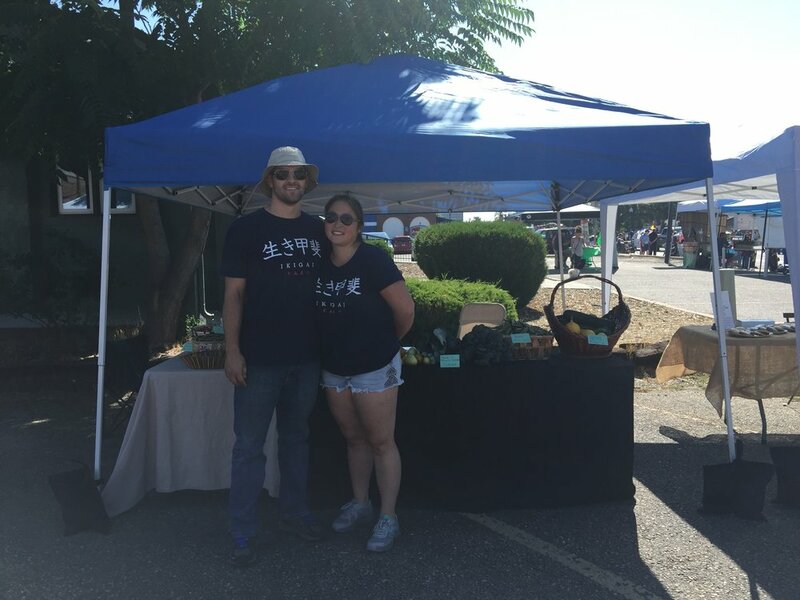 Ikigai Farm is a small market garden farm in Wheat Ridge, Colorado. At Ikigai Farm, we work to produce quality produce for the our local community. At Ikigai Farm, everything we grow is harvested by hand and everything you will see at our stand is usually picked fresh the night before or morning of market. We only grow non-GMO foods and although we are not a certified organic farm, we do practice organic techniques. We do not use pesticides of any kind and only use bio-fertilizers certified for organic use. We also use a drip line system to help conserve water. We are passionate about food, passionate about our Colorado land and we are committed to sustainable agriculture. For a list the vegetables we currently grow please visit our "What We Grow" page. We both come from families of farmers - so even though we both grew up in Denver, we both had the chance to spend time on farms as kids. Spending time on the farm and in our backyard vegetable gardens allowed us the opportunity to learn about how food is grown where our food comes from at young ages. So naturally, when we decided to move in together and started to build our life, we started a backyard garden of our own. Although our garden started out fairly small it wasn't long before it started to grow. Every spring we found ourselves removing more and more of our grass to make room for more growing space in our garden. We realized that while we loved our large garden we would never be able to eat all of the produce ourselves and we needed to find a way to share our food with our community. So in 2017, we decided to turn our backyard operation into a small business and Ikigai Farm was born. 'Ikigai' is a Japanese concept meaning "a reason for being." According to Japanese culture, everyone has their own Ikigai, they just have to find it. We are fortunate to have found our Ikigai. We have a passion for food and care about sustainable agriculture and Ikigai Farm is our way of sharing that with our community. We hope to be able to continue to provide quality food to our local community for many years to come. We can't wait to share our food with you!